AN independent Cumbrian holiday park has thrown down the gauntlet to its competitors by claiming it has the best campsite bar in Britain. 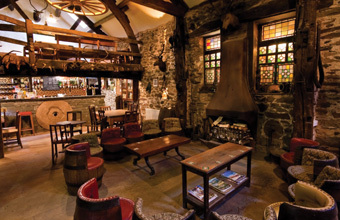 The Quiet Site, located at Watermillock near Ullswater in the Lake District, says it believes its Quiet Bar is the most unique and atmospheric pub to be found by any camper. Owner Daniel Holder said: "We think The Quiet Bar is worth shouting about, as it really is quietly unique and our visitors say they have never seen anything of its standard on an independent campsite. We thought we would throw down the gauntlet and find out what else is out there and how it matches up. Hopefully, our visitors will be proved right."